Not sure if i should post this or not since its not my content, but i thought i would be a good idea to share this so others can see it. dhoomie on his youtube channel made a video describing pretty much what he likes and dislikes about the game. check it out if you haven't. I personally agree with pretty much everything, except i believe a few of the newer melee have a right to exist if they tweak them to make them more punishing. but i wouldn't be mad if they disappeared tho. The post was edited 1 time, last by Zeke ( Sep 6th 2018 ). Well, we can only hope aeria will do better to revive the game. The vid was enjoyable then that finger pointing part. Dhommie:"How you mess it up Aeria Ignite!??" Aeria games:"It's not our fault"
Dhommie:"No! It's your fault! You guys brought broken TB, Breaker, enchant, homing gun, RL. Fist,Esper chip, buff Railgun. Etc." Aeria games:"It's still not our fault, and btw it's Aeria games not Ignite"
Dhommie:"It's your fault! Fix our game! Aeria Ignite!" Karasakal:"In Aeria Games defense. It just 3-4 months before we took over ownership of the game. It's take time understanding the code, but once we figure it out. We might put out some patches every 3 month, once we get more custom to it. We might get patch every month instead 3. Till then I hope you be more understanding and patience. If you need question. You can go watch our Q&A vid if you haven't and please talk to us either forum or on discord. But please not on YouTube. We don't have time to check S4 content made by our players." Dhommie" We don't have patience! We need you to fix our game! It's on you!" I get some of him points. But his finger pointing. Make me think he has some lack of understanding. If he had seen the Kara Q&A vid. Would he be understanding? It been said over and over again. Yet some people just don't understand. All I see at the end is bashing and blaming at the wrong people and things. That's is unfair. He just a S4 regular who hardly check the forum regularly. Who still has missing out on news and information. How he mention Karasakal clearly he didn't know him well and didn't know the things he done. Q&A, feed back thread, etc. He never mention any of them. Karasakal was trying, not just on AP store. How he try to bash on him negatively. That clearly tells me this person has lack of understanding. Who bluntly made a vid with less understanding what really happening around S4. He made a good vid, but at the end he lost all credibility. Well, nothing really new in that video. His only demand is that they "fix the game". Well, duh. That's what they've been working on these past months. It takes way longer than we'd all like but saying that they only care about the AP shop isn't really fair either. If that's all they'd care about, they'd only put out new items/skins and sell them. I think Kara's "Make S4 League Great Again" hat was directed at himself and the staff, not the community. There is some misunderstandings indeed (my favorite is about the site being hacked even though it was confirmed in the past that those are just placeholders) but that is pretty much how most ppl of the outside sees it which is not good. I completely agree with everything said in the video. I personally think aeria got tired of publishing this game so they told devs to break everything so people will quit and they finally have a reason to close this version. Then why aeria got the game from the devs after the korean version got shut down? They cold easily just close our servers as well and not bother with the game at all. To milk pockets. When I see results & changes then we can start talking. Me saying they asked the devs to break this game is not to be taken serious by the way. But it just feels this way. They messed it up so bad you would assume its a valid reason. Well then leave if you only want changes but not being part from them just blaming. opening another s4 ? are you guys serious at all ? whats the point of opening the same game but called another game ? 3- making a new game with no stats is just like saying "oh guys we have a private server that makes the game not really p2w "
... 2) I don't think we are SO p2win. Obviously it can help you and if you are facing a person of similar skill, you will have the upper hand if you have better equipment but in the end skill matters. It's not my words by the way, this is the result from our community survey when we asked "What do you think about item power vs skill?" and stats ? im pretty sure most people dont care about them anymore. Nowadays everyone has at least full FP set and weapons but those are mostly old players (probably even those who still plays s5 for some reason). The ap vs pen problem mostly affect new players. You can pretty much guess a new player by seeing them not wearing anything. Ppl seems to stay away from p2w games in general especially when there are better alternatives and s4 is not a new game either. Nah the ap vs pen problem is everywhere. But you can test it yourself. Play with full pen gear in a normal room. You probably have to change your gamestyle and usual way of thinking. If you have already played the game, you know what to do to maximize profit. The thing is, the newbies don't so for them it looks like a p2w game. Sure it is not impossible but takes a huge effort in playtime to pull that off especially nowadays. Also I think in the sword only mode it is impossible to play somewhat good with full pen gear. What? Who doesn't want change? What blaming are you talking about? I can't tell if your trying to defend the state of the game or just felt like replying for no reason. As for leaving i play this game seldomly noe like everyone else i know. I will leave on my own time & until then I can critique what I think of the game which sadly at this point. Is a lot of broken ish. 1. Alaplaya was never a developer. They were the original host for the EU/NA version. 2. P7S1 Bought pentavision. At no point did they collaborate on the game outside of that initial purchase. 3. "S4 league joined Aeria games" No. P7S1 bought Aeria. 4. A great deal of those weapons you are complaining about are from dark lightning (1st season)/ iron eyes (2nd season). Treasure hunter was all the way out in 6th season. 5. S4DB is not an official source. It uses 3rd party hacks to gain it's information and the information it gathers can actually be wrong, I realize that may shock you, but it is true. 6. "All room owners limit the spammy weapons" Yeah, cause no one ever complains about SD spam, or CS spam. It is totally about balance, not simply not being able to deal with things and banning them. Yeah, totally not... It isn't as if when a weapon is first introduced, it is banned by all those rooms. Heck, I'd bet they could literally nerf the rail gun so hard that it becomes useless and people would still ban it from their rooms cause that is the type of community we have. 7. 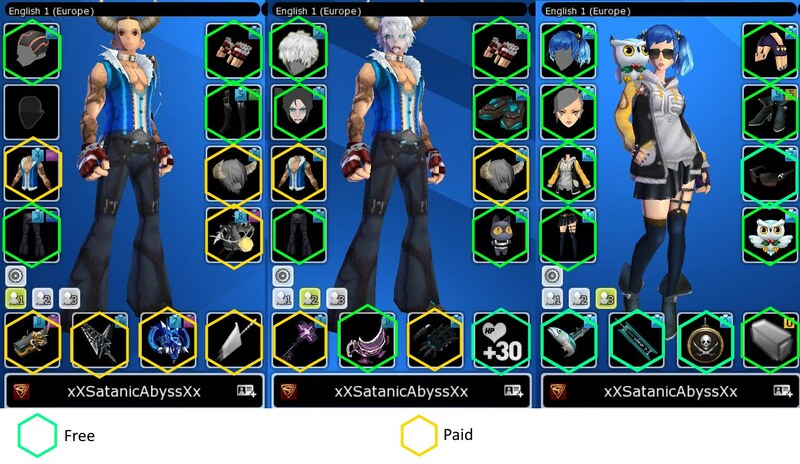 "Developers are more focused on AP shop than development" Yes, cause coding something and making skins are the exact same process and can be easily done by the exact same people. Lot of free stuff if you ask me. Also, those enchant numbers, not a single dime went into pushing them. 9. Toolers, OK, tell them how to fix that. 10. Hackers: Everything has them. Not just games, but absolutely everything. Yelling fix them doesn't do anything. And, since we are on it. I noticed more than 1 account on your video. Multiple account creation doesn't help new players, nor does it encourage them to stick around and get stomped on endlessly. Player numbers would probably improve if it weren't for that. Because they started with that -_-. It is a little different to spite your current active and playing player base in the hopes of getting a better player base. As a matter of fact, is there an example of that working ever? 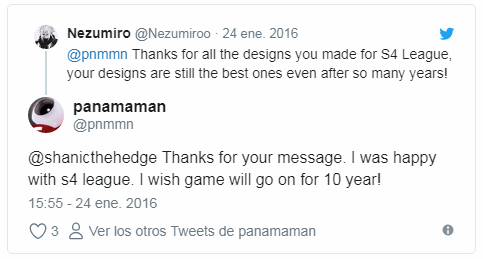 You need to remember, the game has been open for over 10 years. Changing the system now isn't as simple as you seem to think. Fortnite has one game mode that is F2P, also, by the quick look on their site, if you want to play comp, you also get to pay for that too. Dota and LoL are both woefully much simpler games. Their overhead and production is not the same as S4 league. How about you not use LoL to try to prove your point then? Not really the games fault. Not to mention people like the OP don't help. The game offers the things to get the stats, players assuming they don't exist is purely on them. The difference is that the people I've seen complaining about CS or SD "spam" were amateurs, or played like amateurs (if by spam you mean mashing the same attack over and over again), since spamming is rarely the best course of action against good players as a CS or SD player (not saying that it is never the best course of action, but knowing when to do so requires good judgement). The reason why I despise some weapons and want them out of my games as an unlimited player is not necessarily that I can't deal with them, but because of the way they warp the game. Even if I win in the end, even if I score first, even if I score all 10 points for my team, I'm still going to be bored out of my mind if there are 5 snipers on both teams camping until the end of time. All of those bombs, boots, snipers, mines etc. make the possibility of direct engagements way less likely, or sum them up to one big hit, and those direct engagements are the meat of the game for a fragger such as myself. And then there's the fact that it has made team comp matter now. Having too many snipers, healers, not enough people with rifles or melee, those are now problems that can make it so a team has no chance to win, and it's not like people can switch weapons or character at any time to correct such problems.